Wake Forest University will launch the Year of Globalization and Diversity on Sept. 17 with an Opening Convocation address by Oscar Arias Sanchez, former president of Costa Rica and a Nobel Peace Prize recipient. Convocation will begin at 11 a.m. in Wait Chapel. Arias, who led Costa Rica from 1986 to 1990, was awarded the Nobel Peace Prize in 1987 for his efforts to establish peace among Costa Rica’s neighboring countries. The Year of Globalization and Diversity is a yearlong series of events focusing on the world’s development into a global community. The majority of the events during the year-including Opening Convocation-will be free and open to the public. “The world is more interconnected than ever before,” said Mary Jane Berman, co-chair of the planning committee. “Political changes, advancements in technology and numerous other factors have led to greater interaction among countries and peoples. Events during the year will help us understand the problems and benefits of these new relationships,” said Berman, an associate professor of anthropology and director of Wake Forest’s Museum of Anthropology. Berman’s co-chair, Thomas C. Taylor, said diversity is an important component of the year because globalization raises awareness about other cultures and societies. “Coupled with a growing global awareness is a better understanding of the world’s cultural diversity. The year will highlight this diversity in events such as a foreign film series, festivals, performances, and various speakers and conferences,” said Taylor, Hylton Professor of Accountancy in Wake Forest’s Calloway School of Business and Accountancy. The first event after Opening Convocation will be the program, “Can Democracy Survive Globalization?” presented by political scholar and theorist Benjamin Barber on Sept. 28. A film series will begin on Sept. 14 with “Aguirre: the Wrath of God,” a German film about Lope de Aguirre, a 16 th century Spanish conquistador obsessed with conquering South America and finding the fabled city of El Dorado. Each month will feature a foreign film that corresponds to that month’s theme. Films from Japan, the Netherlands, Cuba, Mali and the United Kingdom will be shown during the year. Events in October include an ethnic heritage festival on Oct. 17 and performances by international harpsichordist Elaine Funaro on Oct. 20 and the Chilean music group Inti-illimani on Oct. 30. 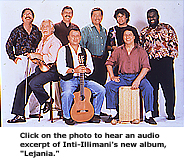 Tickets to Inti-illimani are $10 for the general public and free to Wake Forest faculty, students and staff. A panel of journalists will gather at Wake Forest on Nov. 9 to discuss the media’s responsibility in reporting world events. A workshop with experts on translation, interpretation and cross-cultural communication is planned on Nov. 12, and a program about India and Pakistan on Nov. 15. Highlights in the spring semester include Founder’s Day Convocation, an Earth Day celebration, an exhibit of war photos and a lecture by a human rights activist. A 10-member committee of Wake Forest faculty and staff planned the yearlong celebration. However, activities related to globalization and diversity extend beyond the major events planned by the committee. For instance, seminar classes for freshmen will focus on international film directors, challenges to the global community, the Arab-Israeli conflict and numerous other issues. Other events include a speaker series on international business sponsored by the Calloway School, a performance workshop on Creole music at the Museum of Anthropology and a Latina writer’s conference sponsored by the Romance languages department. Beginning this fall, people may visit the Year of Globalization and Diversity Web site for more information about upcoming events. The site is currently being developed for use in September. Event information is also available by calling 336-758-5788. The Year of Globalization and Diversity is the third installment in a series of theme years at Wake Forest. Previous years included the Year of Religion in American Life (1997-98) and Year of the Arts (1996-97).